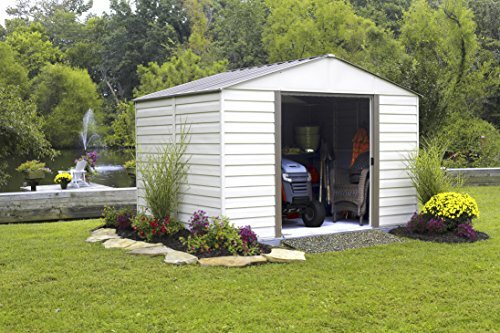 Cool Outdoor Storage Sheds for the Backyard! 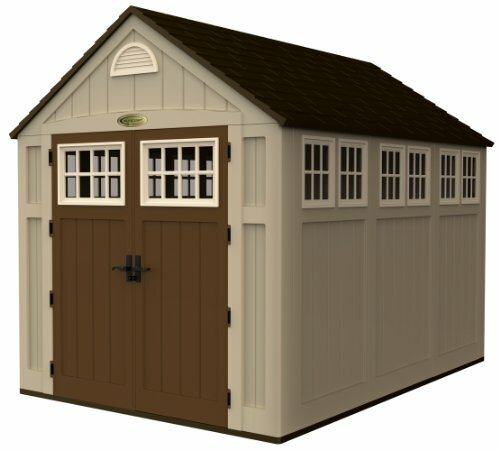 I just found the Coolest Outdoor Storage Sheds for Sale! 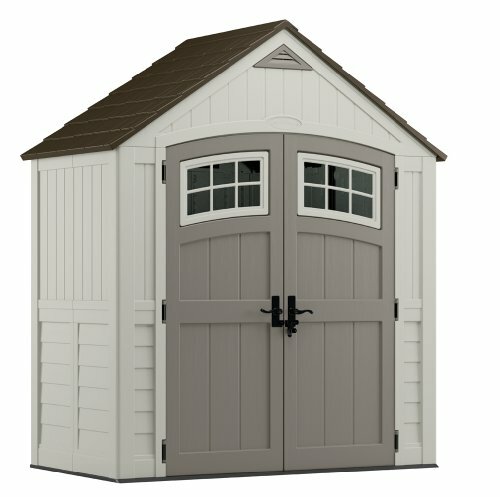 You won’t believe these cool outdoor storage sheds for sale! Some are even shaped and designed to look like a real “house’, just like the one in this picture! The best outdoor storage sheds need to be very strong and durable, obviously, but also leak proof, safe and spacious enough to fit all your stuff! They come made of steel, strong plastic or wood. 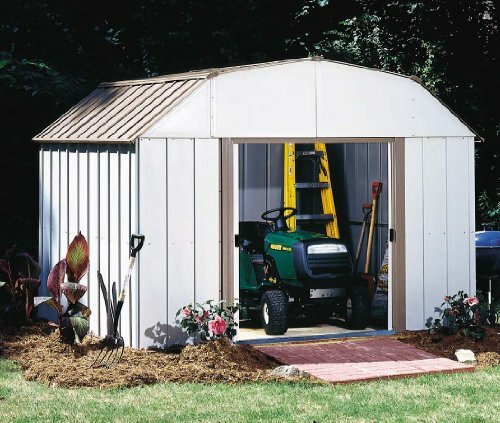 *The gorgeous house shaped storage shed above is made of powder coated steel and double polyethylene panels. It is extremely strong and very roomy inside, perfect to storage all those unused items and tools, perfect to help keep your home nice and clutter free! It will take several hours to assemble it tough, so be patient and have one or two other guys to help. It also comes with nice shelves so you can organize your stuff inside in a neat way. If you are looking for a cute and not so difficult to put together house shape storage shed for the backyard I think you are going to like this one! It is about 6′ X 4′ in size and some people even buy two of them and place them side by side, so they can fit all their stuff. 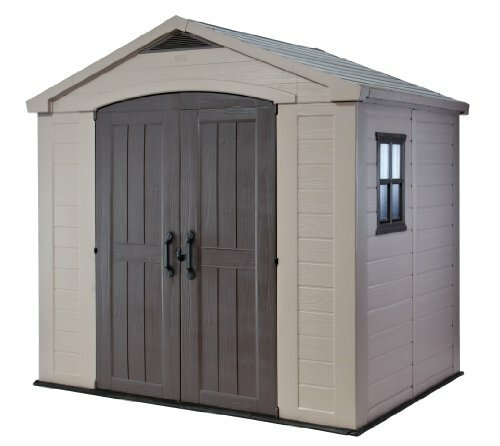 If you are looking for a cool looking, strong and durable, spacious and affordable storage shed for your garden or backyard, I think the one in this picture will not disappoint! Perfect to fit your bicycles, lawn mowers, garden tools, summer toys or whatever else you might have to store! It is made of a very durable all-weather resin, with a wood like texture that will not rot, crack or rust. It takes about 3 hours to assemble, faster if you have someone else to help you. It will take you a long time to put together, maybe even a few days. After you are done installing your new shed you will be very pleased with the result. Just be very patient and do everything nice and slow, step by step. Another beautiful and spacious house shaped molded resin shed for sale! Two people can put it together in 3 or 4 hours the most. 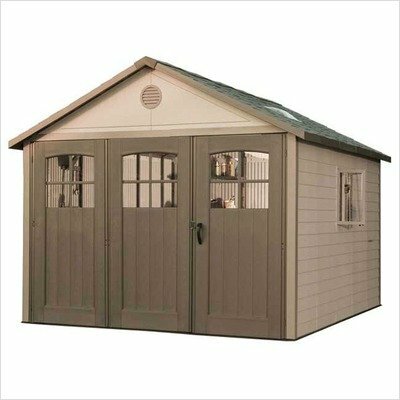 It is very nice and sturdy, and I also love this beautiful caramel brown color and the double doors! Some buyers recommend getting some superglue to help hold the rubber seals better together in place and I think it’s a nice suggestion! 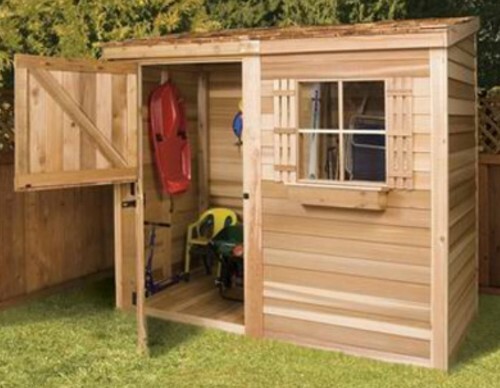 If you want to get a classic looking wood storage shed for your backyard, then this might be the one for you! It’s very cute, made from Western red cedar wood. It comes with all the tools you will need and pre-built panels. The size is fairly decent, at 8′ X 4′ and it will fit your children’s bikes and scooters, beach stuff, lawn mower and anything else you want. It is perfect for smaller backyards! This is a very nice, durable ans spacious 10′ X 10′ outdoor storage shed made from galvanized steel with a very thick vinyl coating. It is very resistant to all the elements and insects! With 580 cubic feet of storage space, it fits even a large riding mower inside! As you can see from the picture it looks absolutely gorgeous after it is assembled. All the parts come pre-cut and pre-assembled. If you are looking for a huge house shaped outdoor garage shed for sale this is it! It has a nice and large tri-fold door and the walls are made from polyurethane plastic. It is very spacious inside and it has nice windows and screened vents as well, to provide good ventilation and natural light. Perfect to keep all your garden tools, bicycles and even your riding mower inside! It will take you a couple of days to put it together. 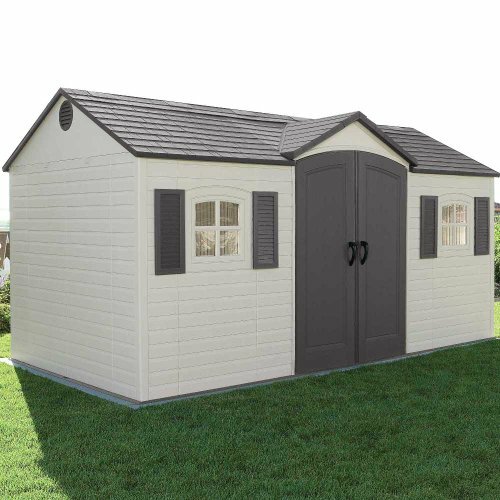 How adorable looking is this outdoor vinyl shed with double doors for sale? It has a strong metal frame and vinyl panels. I really like the original colors, but some buyers prefer to paint it in their color of choice using acrylic latex paint. It is completely weather-resistant and will last for many, many years to come! 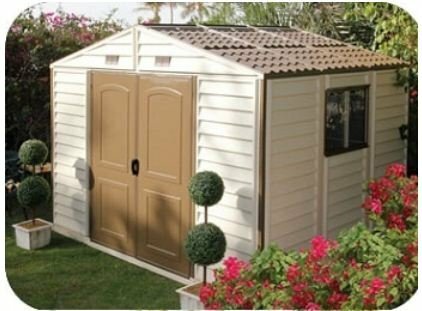 *I hope you enjoyed my selections of cool outdoor storage sheds for sale from this page and were able to find the perfect one for your backyard!